Anglicare College recognises the skills, knowledge and qualifications that students have gained through prior formal or informal learning. Recognition of Prior Learning enables students to be exempt from some units of study within nationally recognised qualifications. 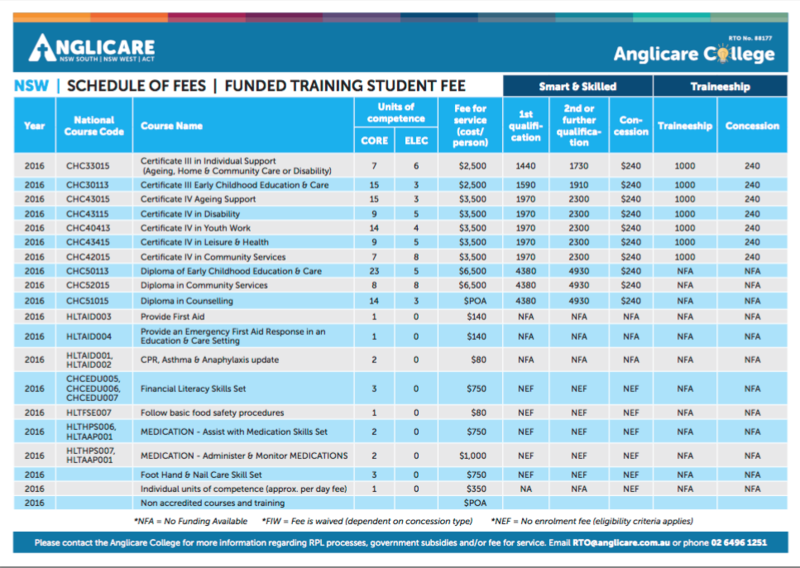 The ACT and NSW Governments provide performance-based funding to Registered Training Organisations, including Anglicare College, to reduce the financial expense of nationally recognised training. 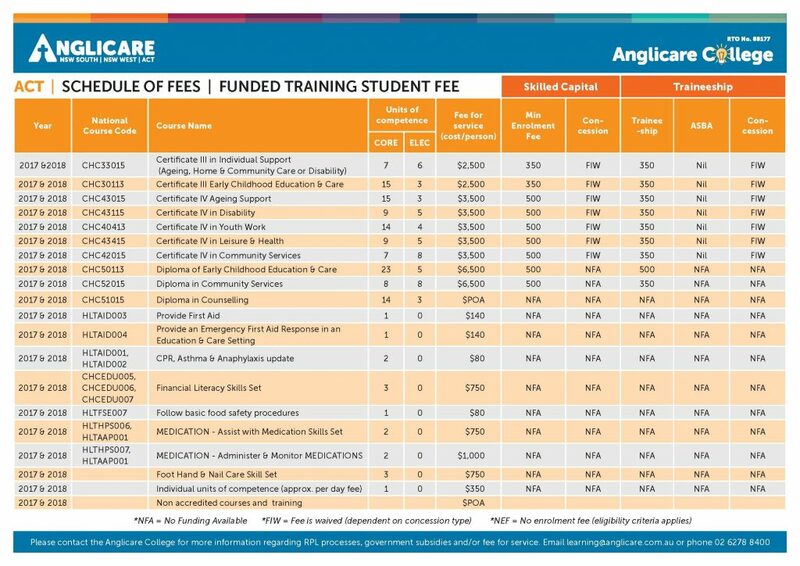 This funding helps Anglicare College deliver training in response to identified areas of skill need. It also increases affordability for students and frequency of delivery. Please note: students enrolled under ACT Skilled Capital program are entitled to an incentive payment upon completion of course, of between $250 and $500, depending on the qualification. Click here to find out how completion payments are processed and the answers to other frequently asked questions. To find out more about ACT Skilled Capital or NSW Smart and Skilled, visit the websites below. A traineeship allows an employee to gain qualifications while employed. Many employers who have staff undertaking traineeships are eligible for financial incentives. Speak to our team today if you would like to know more about traineeship opportunities. As a key service provider in the Community Services sector, we highly value skills development and training for all of our staff. We offer industry-specific training courses to Anglicare staff located across ACT and NSW.